Announcement Specializing in Swarovski style # 5810 crystal glass pearl beads, sterling silver wire and jewelry making findings & supplies. Most orders ship within 1-3 business days (unless otherwise noted) for a low flat rate starting at $2.00 for USA domestic orders. If any questions come up, send me a message, I'm always glad to help. - Enjoy Shopping! 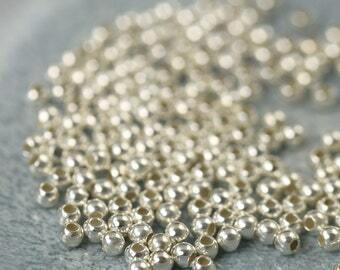 About Swarovski ► The pearls begin with a crystal core that mimics the weight & feel of natural pearls. The Swarovski pearl coating is similar to a natural pearl's luster and is consistent in color. As with natural pearls, Swarovski pearls adjust to your skin's temperature thus making them feel good to the touch which is valued by pearl enthusiasts everywhere. I know you want to give your customers the best product made with the best materials and you have come to the right place. Swarovski is a trusted manufacturer used by top designers in the field since 1895. ©2008-2018 All Rights Reserved on photography, images, trade dress, and content. Specializing in Swarovski style # 5810 crystal glass pearl beads, sterling silver wire and jewelry making findings & supplies. Most orders ship within 1-3 business days (unless otherwise noted) for a low flat rate starting at $2.00 for USA domestic orders. If any questions come up, send me a message, I'm always glad to help. - Enjoy Shopping! Perfect, exactly as pictured and described. I would not put any supplies in my store that I would not use myself in my own jewelry business. All the items have passed my personal test of quality and durability and are deemed "South Paw Beads worthy". Enjoy shopping and take care! Welcome! I am married to a wonderful husband of 17 years, with two handsome boys. I am also a jewelry designer and photographer, music lover, art lover, and movie buff. The information shared with me by Etsy is the following" Name, address and email. That information will only be used to process your order and / or contact you in case there is a question about your order. I want pearls in smaller package sizes. Is that possible? Yes. If you are in need of smaller increments, I am happy to accommodate however there is a small repackaging fee of $0.30 for each item. This covers the labor and materials that it takes to recount, repackage, and relabel any items. Are Receipts included in your packaging? What is the pearl hole size for the #5810 pearls? Can I use your images for my website? No, unless you have permission. All images are owned by South Paw Beads. ©2009-2018 All Rights Reserved on photography, images, trade dress and content. What is your shipping cost and how long will it take? US SHIPPING: Most items ship within 1-3 business days unless otherwise noted. All orders are shipped US mail and rates start as low as $2. US Priority mail upgrades are available. INTERNATIONAL SHIPPING: Estimated to arrive between 10-24 BUSINESS days, depending on US holidays and area. All packages are shipped first class international via the US postal service. Tracking information is NOT available for international shipments once it leaves the USA. ♦♦♦♦ International customers are responsible for any and/or all Customs fees (VAT), taxes, and duties associated with shipping & purchasing to their respective countries, should they be assessed. Is there lead in Swarovski Crystals? What is Half Hard and Dead Soft mean? Half Hard & Dead Soft is referring to the "temper" of the sterling silver. Tempering is a heat treatment technique applied to ferrous alloys, such as sterling silver, steel or cast iron, to achieve greater toughness. Half hard is a little harder than dead soft. Depending on the project some artists need harder or softer tempers. What's a "Troy Ounce" ? 'Troy Ounce' is a unit of measure for the weight that dates back to the Middle Ages. Originally used in Troyes, France, the troy ounce was used when dealing with precious metals. One troy ounce is equal to 31.1034768 grams.